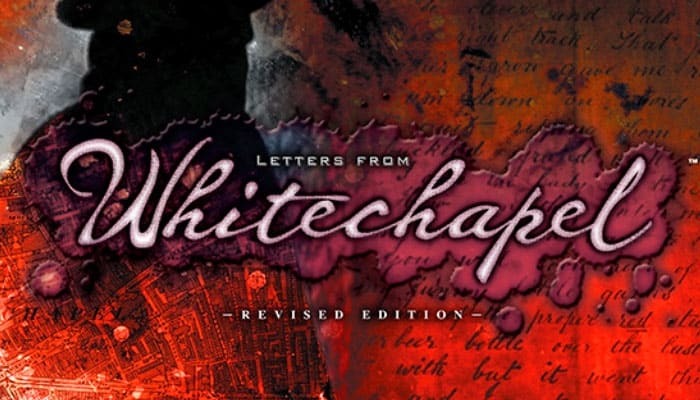 Get ready to enter the poor and dreary Whitechapel district in London 1888 - the scene of the mysterious Jack the Ripper murders - with its crowded and smelly alleys, hawkers, shouting merchants, dirty children covered in rags who run through the crowd and beg for money, and prostitutes - called "the wretched" - on every street corner. The game board represents the Whitechapel area at the time of Jack the Ripper and is marked with 199 numbered circles linked together by dotted lines. 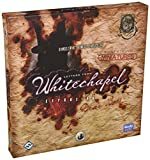 During play, Jack the Ripper, the Policemen, and the Wretched are moved along the dotted lines that represent Whitechapel's streets. Jack the Ripper moves stealthily between numbered circles, while policemen move on their patrols between crossings, and the Wretched wander alone between the numbered circles. 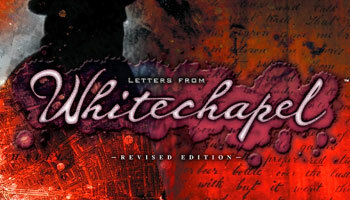 Letters from Whitechapel is a game of deduction and bluffing set in 1888, in the London of Jack the Ripper. It is a game for two to six players, age 14 or older. Five important detectives are on the trail of Jack the Ripper, the most infamous serial killer of all time. 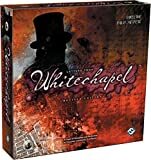 They must chase the mysterious murderer through the tangled streets and alleys of the Whitechapel district. On each of the second, third, and fourth nights, Jack the Ripper can use one Jack's letter to change the position of the police patrols. A letter can only be used after the police patrol tokens have been placed.